Slugs and snails can be a real problem in the garden as they munch their way through your flowers and vegetables. They can also pose a danger to the health of your pets so getting rid of them is important. 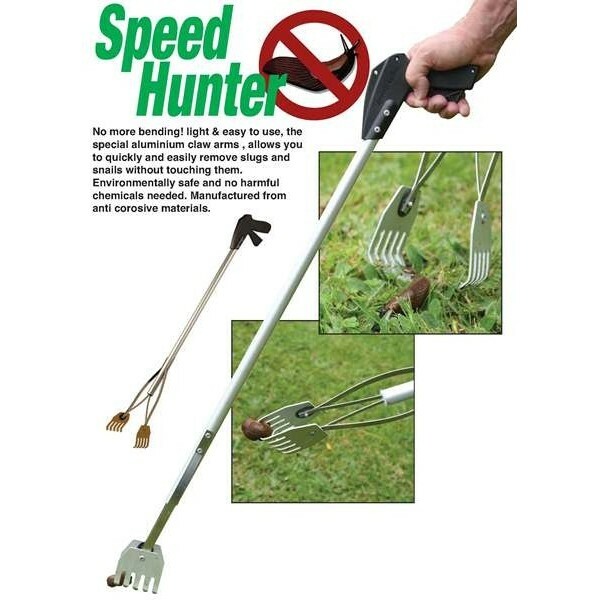 The Speed Hunter is a long reach slug catcher with a handle with trigger at one end and wide opening grab claws at the other, allowing you to pick up slugs without needing to bend or getting your gloves covered in slime. The Speed Hunter is the environmentally friendly way to eradicate slugs without the use of chemicals. It is a versatile tool made using lightweight aluminium and can also be used for a variety of other tasks around the garden such as picking fruit and collecting litter.